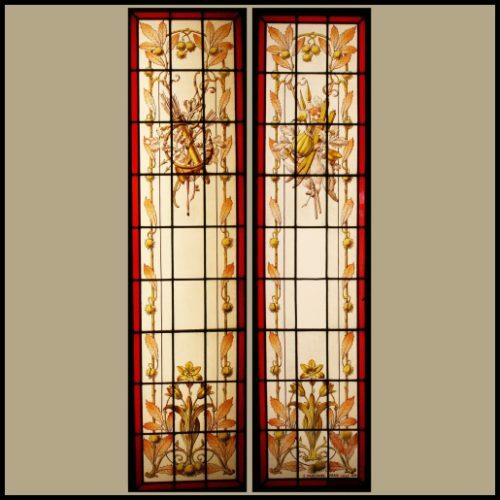 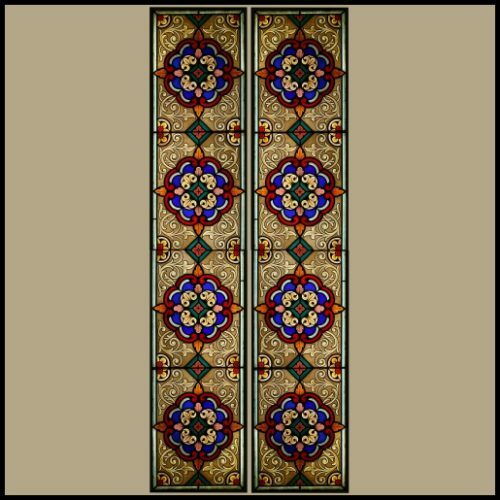 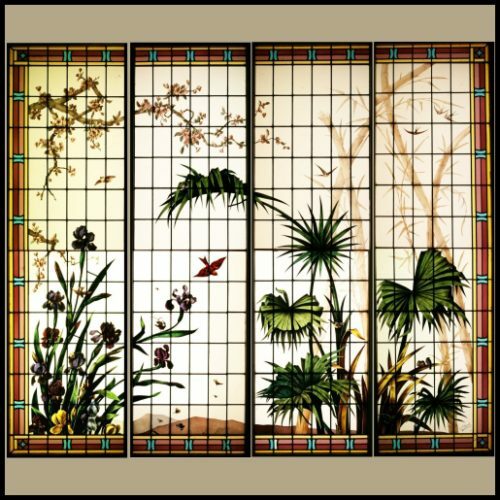 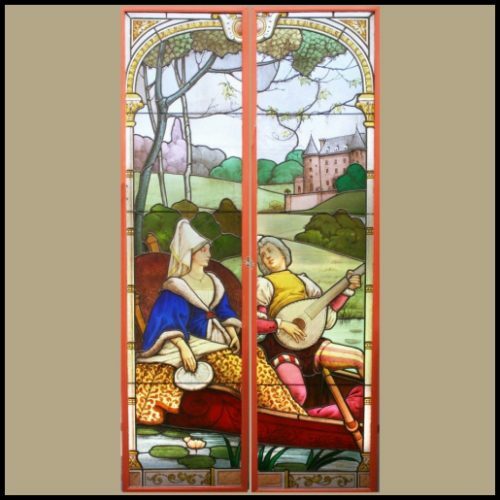 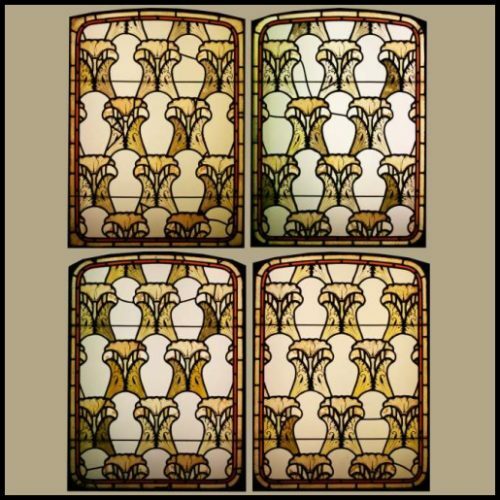 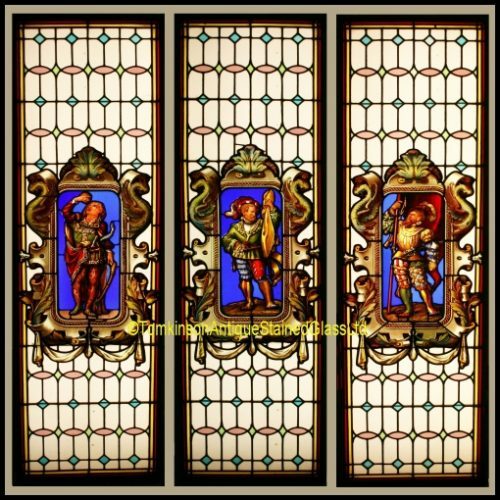 Set of four antique French stained glass windows, c1900. 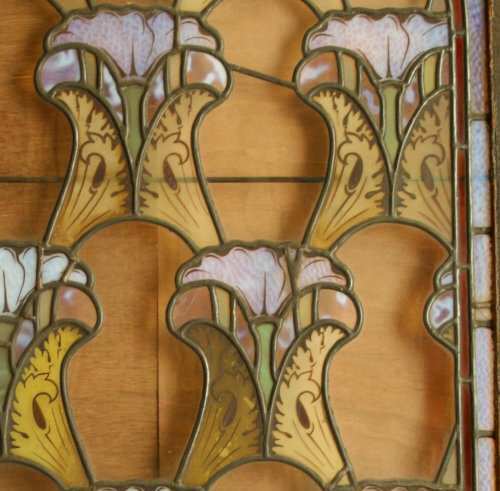 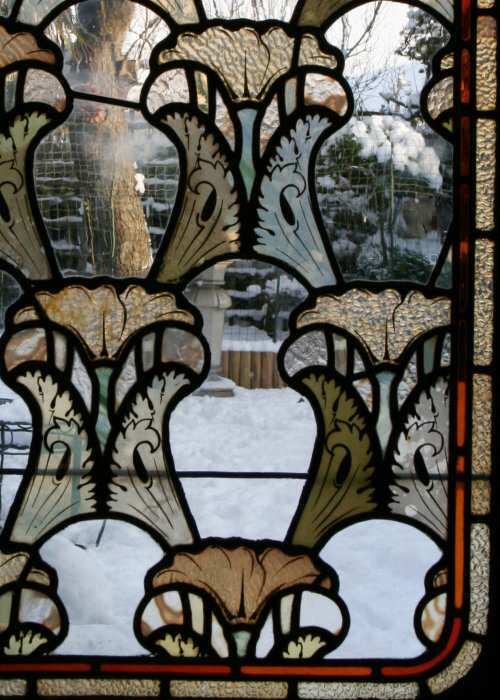 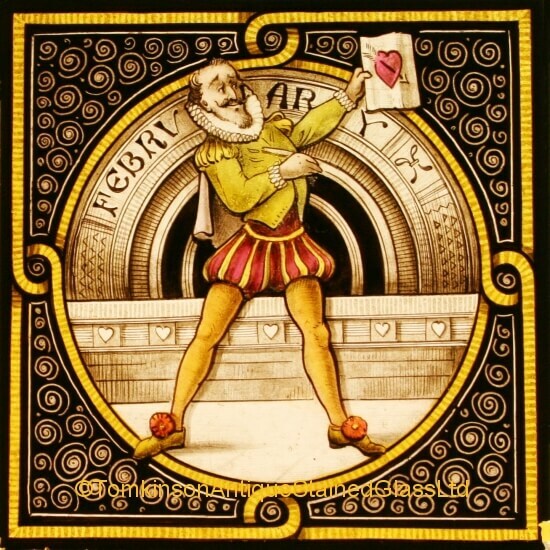 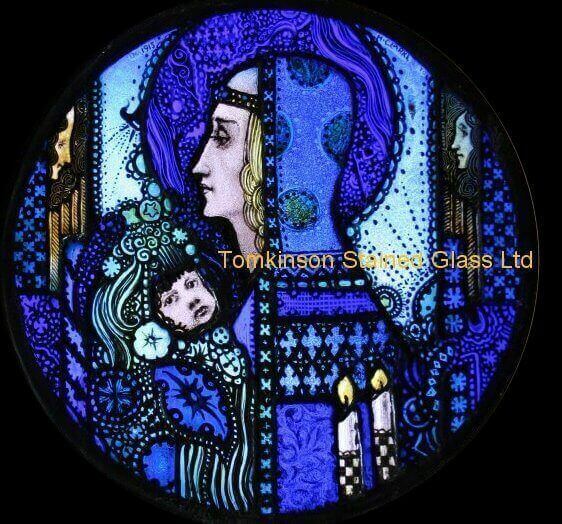 Each leaded and hand pained in an Art Nouveau leaf and flower style. 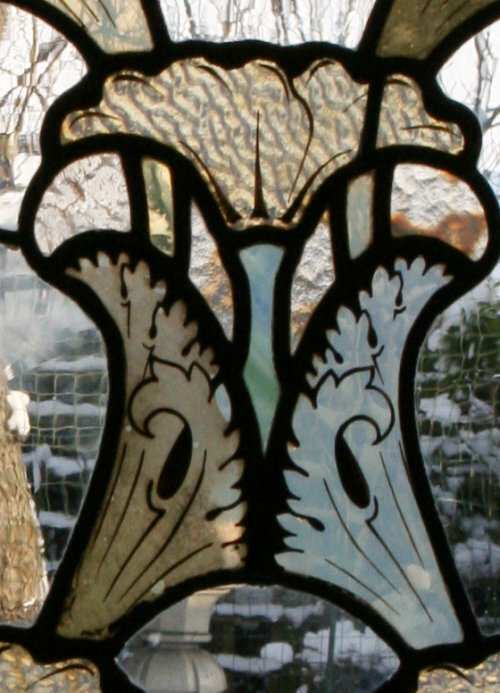 Clear glass background, pastel coloured glass and “Muffled opaque Vaseline glass” flowers and border. 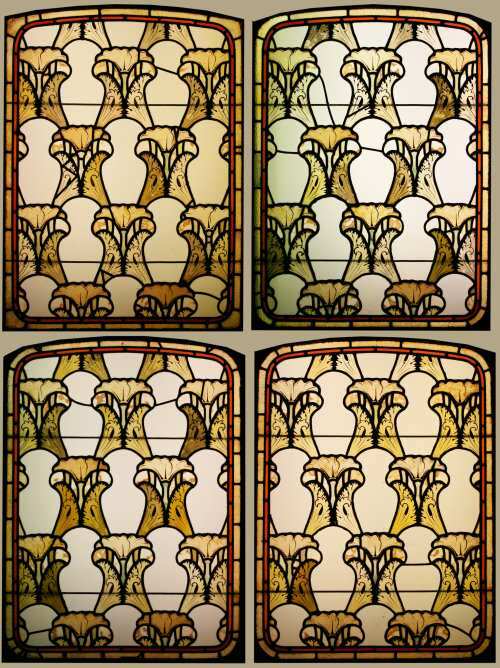 All have been restored and are in metal frames.